There was Modernism and there was Postmodernism. What seems to be happening on the heels of the Postmodern upheaval? There is now a Tower of Babel as society is breaking into subcultures. The gap between high culture and pop culture is breaking down. Broad ideologies are being replaced by single issue politics. Mysterianism has replaced former certainties. As a result we are relying more and more on the magic of the market to decide truth and value. But given this Tower of Babel, how then do we solve the giant ecological and political problems facing the globe? And what is the response of artists to the current situation? Jack Cross is a philosopher, historian, writer and educator based in Adelaide. He holds an MA from Stanford University, a BA (hons) from Adelaide, Dip. Ed. 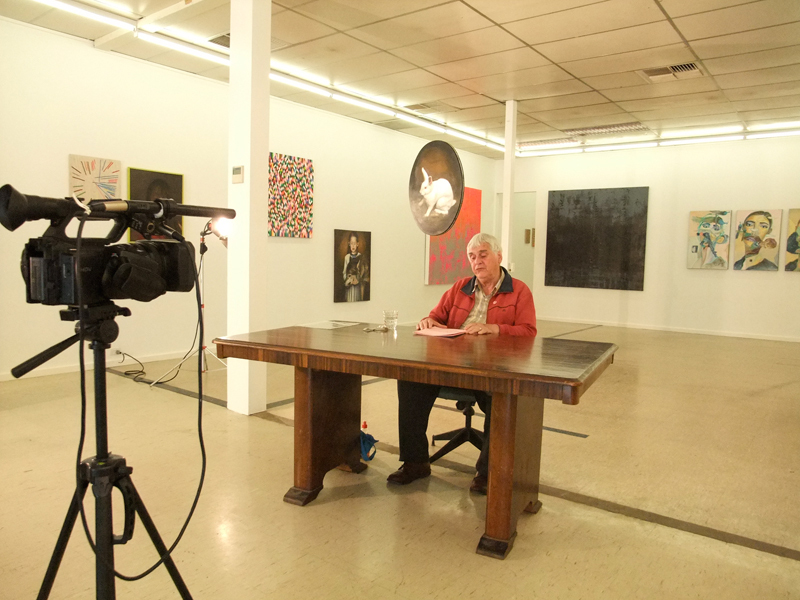 (Adelaide) and is currently a teacher in the History and Theory Department of the Adelaide Central School of Art. In 1976 he authored the text Schooling the Conflict of Belief, which sold out in Australia, New Zealand and Southeast Asia, and in May this year, won the Chief Minister’s Northern Territory History Book Award for his text Great Central State. 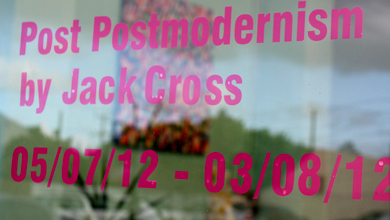 In the back room we will be presenting an exclusive video work of award winning writer, academic, philosopher and educator, Jack Cross, delivering his legendary post post-modern lecture. This is a half hour lecture that will run on a loop for the duration of the exhibition.